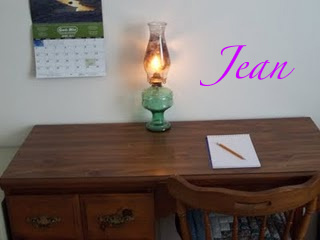 Jean : A surprised Martha thanks the readers for the warm welcome on Amish Stories, and Jean talks about horses and has Michael in her thoughts. Jean is old order Mennonite from New York State.Jean and her husband David and family live on a dairy farm, and travel their community using horse and buggy. She tells her story exclusively on Amish Stories. Martha was shocked at the comments that came from her post about her converting to Old Order Mennonite. She just thought one or two people might comment. I had the same feeling when I had my first post. I thought no one would be interested in our life or what we do. Both Martha and I were wrong. Martha and I both thank you for the your nice comments and questions that you give us. I am trying to talk Martha into doing a post on her adopted children as her and Joseph have four adopted children. Someone asked if she has any children married yet. No, her oldest will turn 16 in a month or so. He is older than the years they are married. He was about three or four when he, his brother and sister came to live with Martha and Joseph. At 16 he will start going to singing, parties, etc. On his 16th birthday he and Joseph are going over Martha and Joseph’s property where they will decide what section goes to him when he gets married. Actually he will probably get it before he marries so they can build the house and move in after the wedding. They are hoping he doesn’t marry for a few years yet. Like until he is 19 or 20. He thought he might not get the property because he is adopted. Joseph told him adopted is nothing but a sheet of paper. You were our son the day they brought you through our door. All ten of their children are treated alike. They all have chores to do, get punished when they do something wrong, enjoy the fun times and get lots of love. We heard that Michael, our former foster child, is not doing well in the house that he is in as he did at ours. Here he was the oldest of the children. At the house he is with he is one of younger children-I guess that is not setting well. We got a driver to take us to see him and he was glad to see us. He is in an Old Order Mennonite home in Waterloo, NY. He, David, Susan, Baby David and I went out to lunch together. Michael works on a farm at the home he is at now like he did at ours. He and David were talking cows, horses, crops -just like Michael had his own farm. We took him to a couple Amish and Mennonite stores while we were there as we wanted to pick up some items. Some his current foster parents had taken him too-but some they hadn’t. We had a very nice afternoon. He wants to come back to our house, but as we had said, we have to see how his parents trial makes out. There was an annual farm sale a couple of towns over. David bought us some cows there and at another farm that was selling so our barn is about full now with 125 cows. Also, Marilyn saw on TV that a SPCA had 34 horses, but was looking for some farms that would take them in as they had lots more horses than space. We called and found out more information about it. A local Amish neighbor heard about it so he and David went to the SPCA to see the horses and have the SPCA meet them. I guess several farmers were there so they were narrowed down to those that handled horses like we do. As they were looking at horses they came upon two that he and David discussed as they are a rare horse breed. They are the type horses that haul royal carriages like Queen Elizabeth’s. These horses look so regal and royal but if they have to they can run like a race horse. The Amish man told the SPCA the breed of the horse (which I can’t remember and David isn’t here) and they looked like they didn’t know what he was talking about. Finally he told them they don’t know what they had there. They gave him all of this breed to take to his farm where he will take care of them. When they are all well-he will have an auction for all the Amish and Mennonites in our area. These horses are for carriage use only and can not be used to haul blows in the fields. All the money from the auction of these horses will go back to the SPCA. One of the horses we got-I like so very much. It is brown with black ears, main and tail. It is really beautiful. We are going to buy that one-the SPCA already knows. We might buy the other two we have here from there, too. With the SPCA we get feed them, take care of them and get free vet care while we have them here. So animal wise we really expanded. The weather here has been so very dry we had to run sprinklers down through some of our crops. We run the sprinkler on a well rather than on the town water system like out house is. It’s a good thing that it does because we use a lot of water with the sprinklers. We did have a little rain this morning, but not much. It is also in the 80’s pushing 90. We read that the weather is much hotter other places than here. We hope you all stay cool.